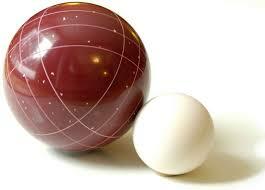 We still need more teams/players for our Bocce Tournament on Saturday, during the Parish Festival. The festival starts following 5:15 Mass (about 6:20 pm). You can sign up as team of four, or as an individual. This tournament is one of the Knights of Columbus’ fund raising projects for Operation LAMB. LAMB proceeds go to local agencies who serve those with intellectual disabilities. We will have 10 Special Olympics athletes participating in the tournament. We are asking for a $10 donation for each player. We’re back! The Knights of Columbus team has put together another outstanding series of Lenten Fish Fries for the St. Thomas More Church Friends and Family Hall. Everyone is welcome to join in and enjoy a great fried fish dinner. The dates are February 20, March 13th, and March 27. Time is 5 pm for doors to open and we keep going until 8 pm or until the fish is gone. But, don’t worry, we often restock with more fish, as needed, to take care of everyone. Cost is $8. For smaller kids we offer split plates for two. For seniors and light eaters, try our one fillet plate for $7. There is plenty of free parking and this event is open to everyone. You’ll see cars pulling off the stalled traffic on US 15-501 and heading up our driveway all night. The smell of frying fish draws them in every year and our hospitality to our neighbors brings them back for the second and third fish fry. We are preparing the food just in time for the crowds to arrive. That means you will see a gentle wisp of steam coming from your delivered-to-the-table plate. Or, if you prefer, we can serve you from our beautiful serving area. We want your dinner to be ready for you when you are ready for it. You get a generous portion! In a hurry and can’t stay to eat with friends? We have take out plates standing by and we can fix a plate for one or more. You are sure to see someone carrying out a stack of five or more clamshell plates as they head to a nearby firehouse, home, or fun event with friends. What is on the plate? 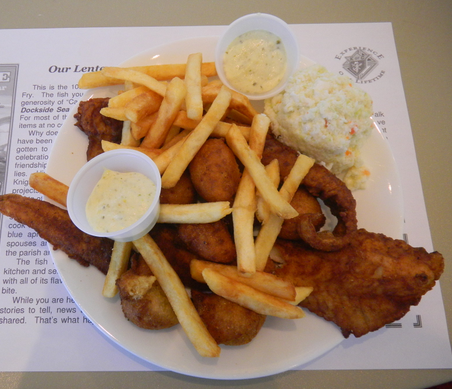 We have two whiting fish fillets, hush puppies, coleslaw, french fries, and beverage. Please also help us promote this family event. You can share this story on your Facebook page and send a link to your neighbors. Our fish is a fresh as you can get and provided through Captain John’s Dockside Seafood and is prepared at St. Thomas More Church Friends and Family Hall by the Knights of Columbus. You’ll be amazed at how good it is. Don’t forget to share this information with our non-Catholic friends. Everyone likes a fish fry! We welcome the opportunity to open our doors to the community and to share with others our social events. You may spark a renewal of faith and start a friend on a path that leads them back to their church, maybe our church. Tom Stoffel reported that our pancake breakfast today was a great success. Lots to do, many joined in. “Thanks to the usual Knights, Men’s Club and CDA regulars too – Brendan, Dario, Gene K, Gene H, Gene D, David D, Charlotte, Bob, Chuck, Will, Margaret, Seth, Terry, O’Neil, and whomever I may have missed (it’s always dangerous to try to name everyone). We were missing a lot of regulars today, but a lot of people stepped up to help us pull it off. Special thanks as well to Elizabeth Fixler, who helped us clean up and tear down the hall, and set up for a very large TYM evening session, as we often do. If you see her, please thank her. Even better, visit her religious items store in downtown Chapel Hill – 108 W Rosemary St, Chapel Hill, NC 27516 (919) 918-4090. She could use our support too.” Tom wrote. It takes a lot of people to make a breakfast, dinner, or Oktoberfest possible. These events are “bonding” events in that new long-lasting friendships are forged. How about you? Are you ready to jump in and make our next breakfast an even better success? From Lieutenant Dan, to running from an incoming hurricane in North Carolina, an actor’s journey takes him on a special mission to serve. God works in us and leads us to serve. Gary Sinise’s story has some very interesting and inspiring turns. The Catholic News Service reported today that Supreme Knight Carl Anderson said that the Knights of Columbus is well-positioned to follow Pope Francis’ witness of “love for the sick, the suffering and the poor.” Read the story as reported by The Pilot. This is just two days old! It is something that many of you already know. It is what makes our marriages work. Most people who volunteer or do charity work don’t want to beat their own drum. Their reward is the smile on the face of those they serve. However, it is important to keep track of what we do for other reasons. Let’s say that someone challenges an organization’s efforts. “What do you do? How much have your contributed to others from what you have raised?” they might ask. These are valid questions and we do a good job of record keeping and reporting. Many things, however, get overlooked or missed. For example, many knights drop off a bag of canned goods each week in the Narthex and think nothing of it. However, 52 bags, with a value of just $5 each, quickly adds up to nearly $300. Now, combine that effort with the many others who do the same thing. It is these and other acts of charity that go unrecorded and reported. We bring this up at council meeting and there has not been an easy way for our Knights to provide the information. Until now, that is. The council has started on-line reporting for some of our programs and projects. We are starting off slow with just one new report. It is the Knights’ Food For Families Report. You can access it from our council website under Council Reports. This one form covers food drives, soup kitchen work, pig roast fundraisers for the poor, and more. See report. On-line reports are compiled and are then available to the Grand Knight and Financial Secretary. The information is then used to provide updates to the members and council leadership on what we are doing. What’s next? We will add other reports on LAMB, our annual raffle, and programs as they are identified. We will also use the same method to collect information for LAMB, Free Throw, and other council projects where we need to know who can help and when they can serve. On-line reporting is our way of putting the “fun” back into fundraising. No one likes to write reports, including this reporter. “If a tree falls in the wilderness, will anyone hear it fall?” You have heard this question many, many times. You may have even pondered the answer. “But what does that have to do with the Knights?” you ask. A lot. It describes a perception of our ministry and others of the church. We do a lot for our parish, our community of Chapel Hill, veterans, handicapped, the poor, IFC Pantry, our members in need, the hospitalized, religious orders, and countless others. True, we should not put signs on our back to announce our latest act of mercy, but we do need to share our deeds with others. What we do is not for ourselves. We raise money to give it away. We don’t use it to party or to serve ourselves. 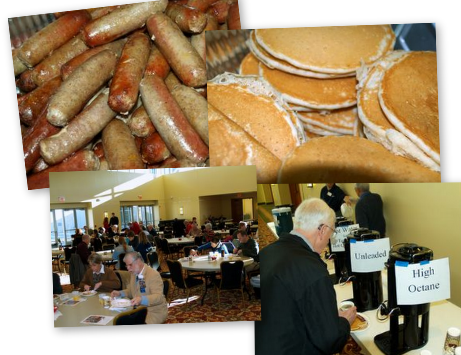 Our fish fries, annual raffle, pancake breakfasts, and Operation Lamb projects benefit our church, seminarians, and mentally handicapped children. We do a lot more than raise money. We give of ourselves. We give our time, our talents, and our personal wealth. Knights donate thousands of dollars quietly to support a local crisis. They give furniture, food, and other things to help a homeless family in our midst. They help the widow. They sponsor children in our area and overseas. They serve on boards, committees, in clubs, and charities to give even more. We work with our youth–our future–and have just completed the formation of a Columbian Squires Circle in our parish. Our project went so well and showed what could be done, that another neighboring parish followed our lead. They, too, started a Circle. We are about 120 strong, but there are hundreds of other men in our parish who are welcome to join us. 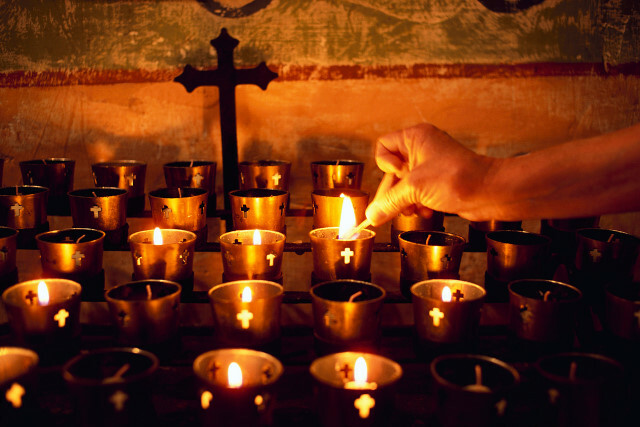 What we need to do now is to show our candles of hope for the poor and suffering in our midst. We need to share our stories with everyone we meet. Let them know what the Catholic community of men in our town are doing and how they can help us do even more. So, wear your Knights of Columbus jacket, shirt, cap or badge. Wear your regalia on all special masses and funerals. Be proud of your brotherhood and brothers. Let your light shine bright for you do His works for His children.